Meat, the highest source of protein that the average person receives, is perhaps the top food group that is overlooked when a person decides to start eating more organic and naturally. Some people think they have to write off meat entirely to eat organic and healthy, while others see no difference between a normal grocery store chicken breast and an organic one, because it isn’t as visually apparent as most other organic foods. But, the truth is there are several reasons that you should start avoiding conventionally grown meat. While meat animals are generally treated better than animals that produce animal by-products, like dairy cows and egg-laying hens, meat animals are still fed less-healthy food and live in much poorer conditions than those raised under the National Organic Program standards. Conventional meat cattle and birds are kept in small cramped quarters, called “feed lots,” usually severely crowded by others of their kind. Feedlot chickens are often even raised in these cramped quarters without light. NOP animals are allowed to roam and graze and live their life in more natural conditions. Because it is required by NOP that the animals are left to graze most of their lives, the pastures are open, spacious areas in order to provide enough food for the animals. Organic standards forbid feed lots for both cattle and poultry. What They Eat, You Eat. Now, you might not be bothered by the conditions that the animals are raised in. Some people just choose not to think about it. However, as we just mentioned, cattle raised under the organic standards are allowed to graze, which means their diet consists largely of grass, rather than grain and by-products like soy bean casings. Therefore, NOP meat actually contains less omega-6 than beef that has been fed with high levels of grain. High levels of omega-6 are known to promote breast cancer and prostate cancer, as well as other health conditions. To see the full picture, it’s important to note that some omega-6 is part of a normal diet, but high levels are not, the same as it is with many other food properties. The important thing to know is that the level in commercial beef is higher than it should be for a healthy diet, especially when dealing with a staple food. Grass fed beef also tends to be leaner and therefore easier on your cholesterol. According to a clinical study by two doctors, Hunninghake and Davison, who ran a long term study on grass fed versus grain fed beef, grass fed beef has a very similar level of fat to skinless chicken breast. Grass fed animals also have a higher content of vitamin E.
The fact that grass fed beef is leaner also means it’s lower in calories. When comparing two 6 ounce sirloin steaks, a grain fed steak contains approximately 100 more calories than a grass fed steak. While we’re on this subject, even though chicken isn’t affected by the fat problem, they are affected by the solute problem, which also can cause issues in your weight and health. Have you ever noticed the difference in texture between organic poultry and commercial poultry? That’s because commercial poultry is injected with solutions (usually salt based) to make it look plumper and add weight. That extra isn’t good for your health. Do you avoid red dye when you buy foods? Ever thought about why that meat at some major chains looks REALLY red? Both commercial chicken and beef (mostly beef) can have added dyes to make them more visually appealing to consumers and to make the meat look fresher. Who Needs More Hormones and Antibiotics? While you may be on hormone therapy from your doctor, you certainly don’t need the hormones fed to cattle. Part of most commercial beef programs involve the use of several types of hormones to cause the cattle to gain girth and grow faster. These include hormones that are rarely given to humans in large doses, such as testosterone, estradiol, progesterone, zeranol, and trenbolone, and melengesterol acetate. These hormones, of course, can continue to stay present in the meat. High levels of artificially introduced hormones of these types have been known to cause several types of cancers, effect sperm counts, growth rate issues in children, early puberty, and other reproductive problems. While the USDA maintains that the hormones are kept at safe levels, many don’t feel that it is worth the risk of artificially introducing added hormones to their bodies. Some European countries have even banned the importation of U.S. grown beef because of it. A study at Montana State University found that commercially grown beef contain 47% more hormones than GOP beef. Growth hormones cannot be used in the growth of chickens, per USDA standards, but this doesn’t make commercial chicken safe. Living in cramped quarters creates an environment where illnesses and germs and bacteria are rampant. Many types of infections or disease would wipe out the whole feed lot. As a result, both beef and chicken are routinely given antibiotics to keep down the spread of these infections and diseases. These can stay in the body for weeks, depending on type and amount given. When you consider that chickens grow to maturity between 8-16 weeks, depending on breed, that doesn’t leave much time for the antibiotic to be out of the system and still allow the poultry to be protected from the conditions in the feed lot. Grazed and free ranged animals do not require the intensive treatments, because they are not in the same risky environment. While the USDA does require a waiting period after the antibiotics are administered, traces may still be present and they were still put into the animal’s system and therefore the meat. Irradiated meat is treated by either electricity or a machine that exposes the meat to cobalt 60, which is a radioactive material that must be manufactured in a nuclear reactor. The process is done in order to destroy the bacteria present in food, which can often be the result of the poor living conditions in the feed lots. Irradiated foods look no different than non-irradiated foods. This may sound like a very swaying argument, because no one wants bacteria from a feed lot in their food. However, there is more to the story. We know that radiation can destroy good cells as well as bad ones. Along with bacteria, irradiation destroys enzymes in the food that help you to digest it. It also decreases vitamins and a variety of other enzymes. In short, the nutritional value of the food is compromised. Even worse, depending on the type of radiation used, the food can retain trace amounts of radioactivity. There is no long term study in humans regarding the safety of irradiated food, and no studies at all on the effect of irradiated food in children. However animal studies showed increased incidents of kidney failure, tumors, and reproductive issues. There are other, bigger issues involving irradiated foods, including the transport of the irradiation machines and the handling of materials, labelling issues, and many other concerns. Irradiation also produces free radicals during the irradiation process. All of this is avoided with organically produced food, which by GOP requirements is free of radiation. As we mentioned earlier, there are additives to commercial meats that are designed to improve their appearance and add weight, but those aren’t the only chemicals found in commercial meats. There are also additives that preserve the meat to extend its shelf life. It’s common to find potassium lactate and sodium lactate on poultry. If you’ve gone Thanksgiving shopping recently, you may have discovered that a turkey that has not been injected is a rare find. In addition to preservatives, there are flavor and texture enhancers, such as Bromelain and ficin, hydrolyzed protein, monosodium glutamate and papain. Beef often contains phosphates and propyl gallate, butylated hydroxytoluene, and various water solutions. These and other meats can contain nitrites and nitrates. Preservatives have serious side effects. They can cause stomach issues, allergic reactions, and different types of cancer. Yes, preservatives and radiation do extend the life of meat and protect from various airborne bacteria, but the consequences and risks of eating these treated foods are something to also be considered. Only you can decide what to put in your body, but we hope to help you make an educated choice. Many of these processes do cut the cost of the product. However, we believe that the long term health benefits are worth spending the extra money or the effort that goes in to catching a sale. This entry was posted in "What is" Series and tagged carnivore, go plant based, grassfed meat, healthy, nongmo, organic, protein on April 24, 2015 by Christine. 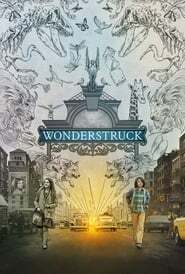 Movie ‘Wonderstruck’ was released in October 20, 2017 in genre Drama. Todd Haynes was directed this movie and starring by Oakes Fegley. This movie tell story about The story of a young boy in the Midwest is told simultaneously with a tale about a young girl in New York from fifty years ago as they both seek the same mysterious connection. Pamela Koffler, John Sloss, Christine Vachon. Killer Films, FilmNation Entertainment, Amazon Studios, Picrow, Cinetic Media. This entry was posted in "What is" Series and tagged health, nutrition, protein on December 26, 2014 by Christine.